The night looks chilly where this snowy owl perches on a leafless limb. 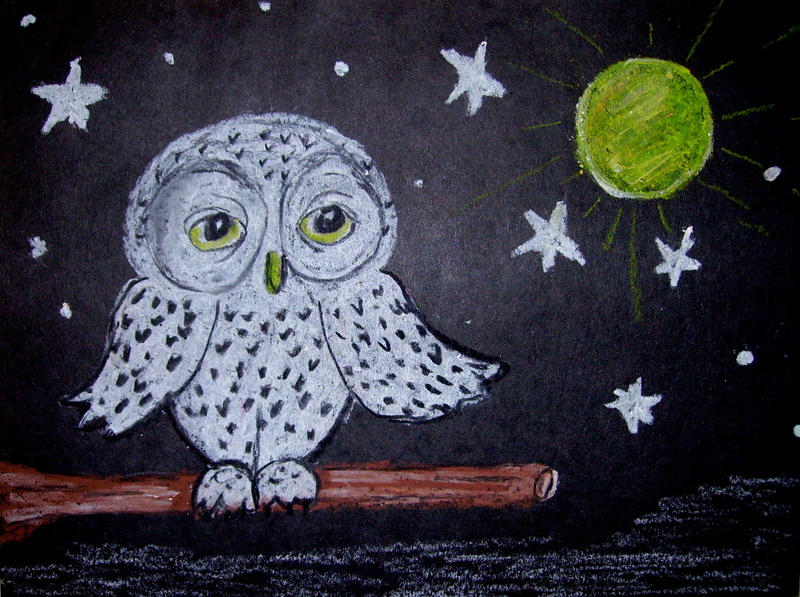 A step by step “how to draw an owl,” is included with this project. Simple and easy. The directions for “Little Snow Owl,” can be found in the 3rd Grade Projects Gallery in the sidebar. This entry was posted in 3rd Grade and tagged 3rd Grade, art and craft projects for kids, classroom art projects to make, little snow owl, snowy owl, snowy owl art project, snowy owl class room art project, step by step drawing. Bookmark the permalink.